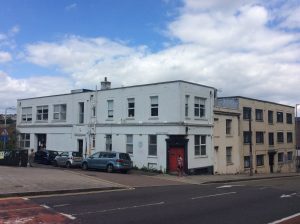 A developer has stepped in to offer a new home to the Brighton Fringe after plans to overhaul college buildings left the arts organisation looking for a new base. Westfield Investments has offered office space to the Fringe after the Brighton Metropolitan College’s plans for its Pelham Street campus meant that the festival organisers needed a new home. Westfield, run by Brighton businessman Colin Brace, owns a building across the road from the college and is trying to buy the neighbouring property from Brighton and Hove City Council. The rundown council property is currently used by a number of tenants, including Same Sky, which organises the community arts events such as Children’s Parade and Burning the Clocks. A number of artists also rent part of the building as their studio space. Mr Brace wants to build about 30 homes on the site which is in need of major repairs and refurbishment. With the start of any home-building at least two years away, he has offered to house the Fringe as well as allowing the existing tenants to stay on. He has also offered financial support when the existing tenants come to move. Brighton Fringe boss Julian Caddy has written a letter urging the council to sell the property, known as the Belmont Street Annexe, to Westfield. Mr Caddy said: “Brighton Fringe are having to relocate from our current offices at Brighton Metropolitan College, Pelham Street, so are in urgent need of alternative accommodation to allow us to continue to operate. “We have been discussing various relocation options over the past few months and this one with Colin seems most promising. It would involve taking some temporary space within the (Belmont Street Annexe). 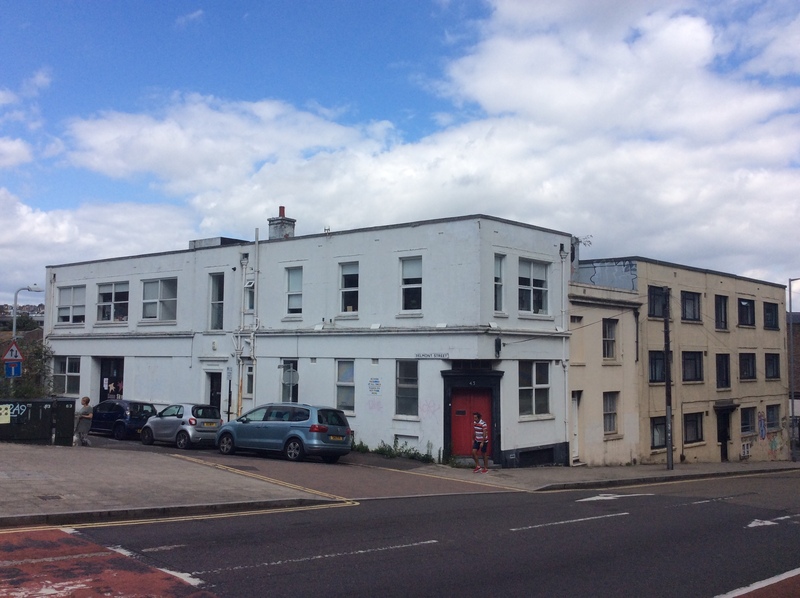 “It is extremely important for Brighton Fringe to have an office located centrally within the city so the location of this site being literally next door to where we are currently would make it an ideal place to relocate to, enabling us to continue to provide this valuable resource for the city. “We would be very pleased to continue these discussions with Colin as soon as he has successfully purchased the property. 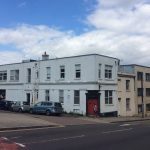 One of the current tenants also wants to buy the building but there are concerns about whether he would be able to afford the extensive work needed on the site. Concerns include whether the cost of the repairs, which have been put off for many years, would force up rents for the artists and drive them out. Or whether the council would be asked for a bail-out. Mr Brace has also written to the council, with a decision due to be made the council’s Policy, Resources and Growth Committee at Hove Town Hall this afternoon (Thursday 11 October). His letter said: “I welcome the recommendation for the freehold disposal of the site to my company Westfield Investments Ltd, the adjacent owner. Mr Brace is a founder of the Brighton and Hove Property Consortium which has raised about £150,000 for the mayoral charities over the past three years and is behind a voluntary Social Value Charter for property businesses. He said that he would develop the Belmont Street site in accordance with the Charter to maximise the benefits to the city – and set out in a report to councillors. Mr Brace added: “I acknowledge the valuable work that Same Sky and the other users of the building bring to the city, and would like to assure committee members that I will continue to support the activities of this charity by providing them with office space for the foreseeable future and providing financial support to assist with their relocation once the time comes to commence development. “The Brighton Fringe Festival are being forced to relocate in the very near future and it is my intention to use my best endeavors to negotiate with the current tenants to free up some additional office space to provide a new home for them. Unless I am mistaken the Speigel Tent is empty for 11 moths of the year, so why could the council not put the tent up and the Fringe could live in it? Oscar – the Speigeltent is a unique theatrical tent and tours round the county, they need an office for their staff to work in! Really the Council should step in to give them a permanent home or to buy a Speigeltent. Another council owned building left to go to ruin, like the Madeira terraces and the King Alfred for starters. It’s a lucky escape for the tenants. They were facing massive bills for all the work needing to be done. Not sure I’d want to move there if I was running the Fringe festival. If the council is selling the property based on promises from the developer then they should secure these via the contract for sale. * Provides 40% affordable housing in any future development, with no option for pleading the need for profit over affordable housing at a later stage. * Honours the promises re funding support for relocation of existing tenants. Otherwise these are just vague commitments which have no basis for any decision. I would hope, especially given the developer’s commitment to social value, that they would embrace this. Then I would really pat the Council (and the Developer) on the back.